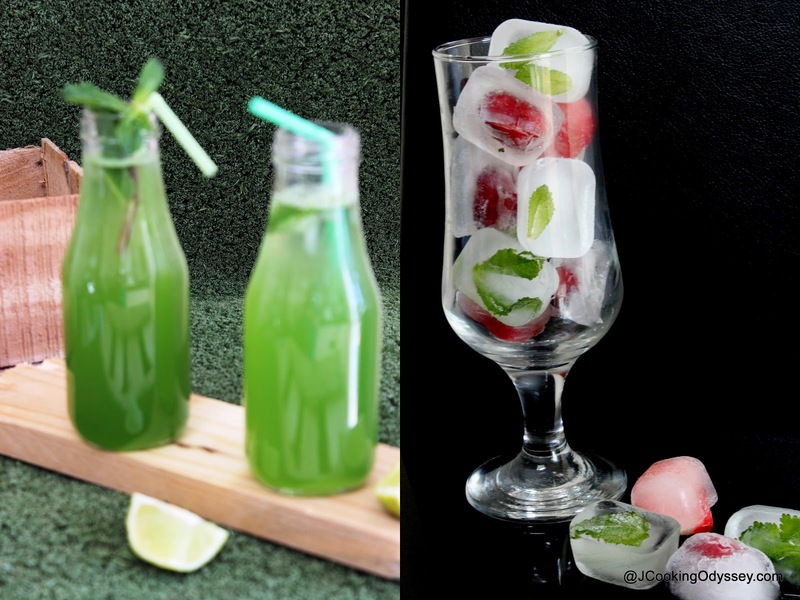 Jagruti's Cooking Odyssey: A light and refreshing Cucumber Fizz - London Marathon 2013 ! A light and refreshing Cucumber Fizz - London Marathon 2013 ! So many of my posts start with the weather and today is no different! It really is amazing how much the weather affects what you make! Through the roller coaster climate of the UK, we seem to have seen the silver lining - the weekend was a lovely and warm one. Perfect for the London Marathon that took place on Sunday. 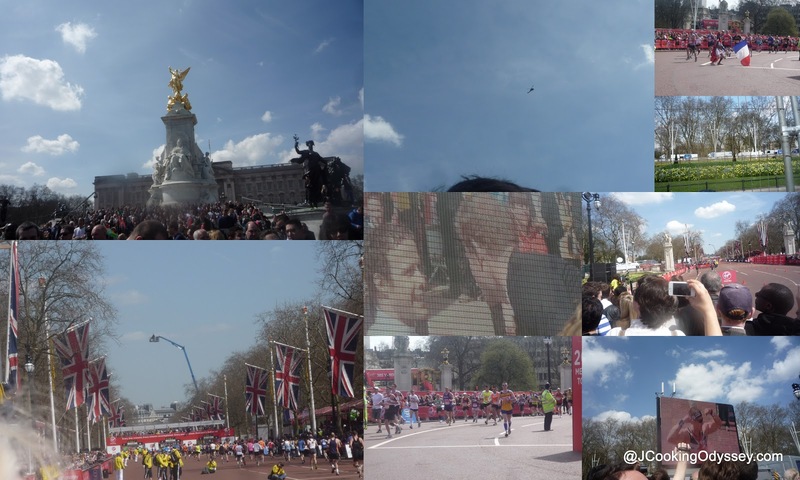 I had planned to go to marathon to cheer on the runners but was apprehensive because I thought it would be freezing! Finding out that it was in fact going to be a warm day, I wasted no time in getting ready and making my way into Central London. I had one of the best days of this year and it was completely spontaneous!! It's often the same picture with food. You don't know what you are going to make and you end up making something completely different! I decided to make a refreshing cucumber drink (that's what happens when cucumbers are on offer and you end up buying too many) that would be nice and cooling. The addition of the sparkling water gives the drink the kick that it needs to be crisp and refreshing! The drink had a wonderful green colour reinforcing the colours of spring and summer! I can assure you that after drinking this drink you will definitely have a certain spring in your step! Place sugar and water in a saucepan , dissolve the sugar and boil water for 2-3 minutes. Let the water cool completely. Wash the cucumber and take juice out of it. ( if you prefer peel the skin ) I didn't want to take away all the goodness from the skin, so I left it. That's why my drink colour is quite green. In one glass add 1/4 sugar syrup, 1/4 cucumber juice add salt , lemon juice, finely chopped mint and herb ice cubes. Fill the glass with sparkling water and serve immediately. Nice and refreshing! Love the green colour. i just made and im in heaven!!!! This fizz is gorgeous! I love the intensity of the green color and the flavor of mint sounds wonderfully refreshing... Thanks so much for sharing! Lovely vibrant colour. I like the bottles.very cute.